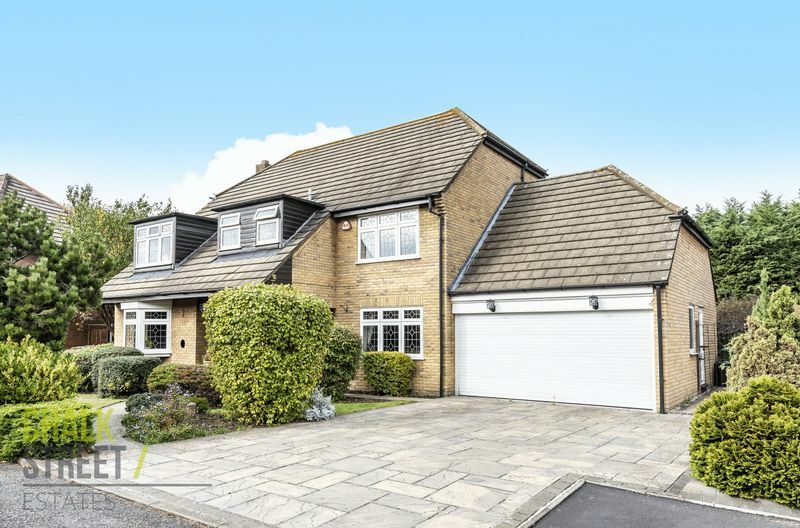 Located within the much sought after Emerson Park area of Hornchurch is this bright and spacious five bedroom detached family home. Occupying a neatly maintained plot along a peaceful cul-de-sac turning, offering the potential to extend and develop subject to planning, no expense has been spared on the maintenance and upkeep of the property by the current owners who have lived here since new. 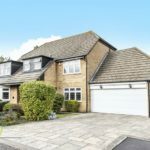 In addition to five bedrooms on the first floor, the property also boasts 3 reception rooms, spacious entrance hall, large and recently re-fitted kitchen/breakfast room with separate utility room and a double garage. The internal accommodation comprises a large, open entrance hallway which provides access to the downstairs rooms. Overlooking the front of the property is a TV room/Study and a separate formal dining room with wood panelling. With access from both the dining room and the hallway, located towards the rear of the property is the recently re-fitted kitchen/breakfast room which spans an impressive 23ft. From the kitchen there is direct access on to the utility room which in turn has access directly on to the rear garden. The final reception room on the ground floor is the spacious living room which also benefits from double patio doors opening on to the garden. There is also a cloakroom accessed from the entrance hallway. Upstairs to the part galleried landing, the largest of the five bedrooms is towards the front of the property which benefits from its own en-suite bathroom. Three further double bedrooms run along the rear of the property each with fitted wardrobes. The final double bedroom is located towards the front of the property as is the sizeable family bathroom. Externally there is a large rear garden that is laid principally to lawn with well stocked shrub borders. The front of the property has a similarly immaculately maintained garden in addition to a paved driveway providing off-street parking for two cars comfortably. There is also double garage which provides a further two parking spaces and plenty of storage.